Private photo sharing is getting its moment in the sun. 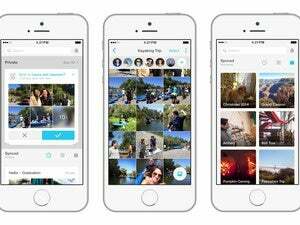 Facebook is shutting down photo sync in its mobile apps, and is asking users to try the standalone Moments app instead. Photo sync arrived on Facebook a few years ago, letting users automatically upload photos from their phones’ camera rolls. Those photos were stored privately by default, and users could then choose which ones to share on the social network. 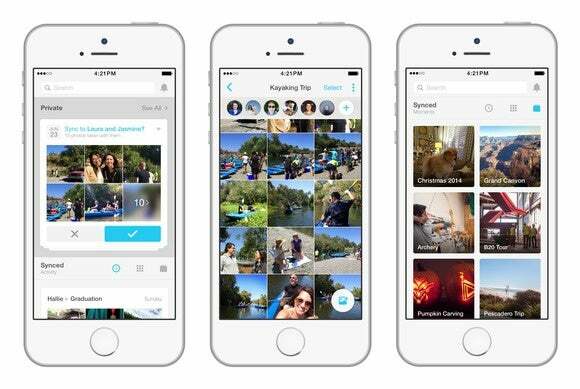 Compared to photo sync, Moments puts a greater emphasis on private sharing. With some help from facial recognition, Facebook users can tag photos of their friends, who can then sync those photos to their own collections. It’s meant to solve the problem of getting a hold of photos you didn’t take, without having to go through email or even Facebook proper. As TechCrunch points out, Europe’s tighter privacy restrictions on facial recognition have prevented Facebook from releasing Moments there. It’s likely that photo sync will live on in regions where Moments is unavailable. Why this matters: The focus on Moments puts Facebook in a better position to compete with Google, whose own Google Photos service just added a way to share and sync private albums. 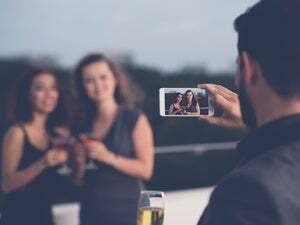 Although Google still has the edge in photo quality—users can store full-size or compressed photos, while Facebook reduces all photos to as little as 720 pixels wide—Facebook has the advantage of tying into your existing network of friends. Either way, expect competition to intensify as the two firms fight for private photo sharing dominance. This story, "Facebook's killing photo sync and pushing users to dedicated Moments app" was originally published by PCWorld.